We used to hang out, lunch outs, crack a few jokes out. We were friends. Or so I thought. The moment you got that position, we celebrated you. We were with you. You were with us. Or so we thought. We were okay for a few months, give or take. It’s in the succeeding months, the truth unfolded. We definitely thought wrong. You changed. For whatever reason, you changed. Maybe I was ill-thinking again. Maybe, you didn’t change at all. Maybe this is the real you to begin with. You set-up a wall that we, your subordinates, were trying to climb. But no matter how hard we hiked, the peak was still nowhere in sight. We got tired, exhausted, and burnt-out. The routine became unhealthy. To protect ourselves – we erected a wall too. Over time, the walls didn’t just grow taller, it became thicker and farther than ever. Two continents drifting apart. I sought answers from you. I wanted to understand you. I do, I really do. I did get some answers, thank you. But I didn’t understand you. I tried, but I couldn’t. You have everything figured out – all to yourself. Please remember, you’re not just working for yourself here. You have a team – for now. Yes you have the passion to improve the team. You tend to accept loads of work even though you already have your hands full. I have no doubt with your work ethics. All of these were really commendable. What you lack though – it’s maturity. Be mature enough to be sensitive to the needs of your team. Be mature enough to filter your sharp words thrown at the team. Be mature enough to handle people. If you can’t do this by all means, be mature enough to step down. Be brave enough to go out or transfer somewhere else. Do it. Trust me – it’s liberating. I know this for a fact because I just got out. Maybe I’m still not mature enough to endure you as my boss. And for that, I’m sorry. After all, we’re both a work in progress. Movies last for about 2 hours tops and I can’t risk it having you get bored and cease interest in the film; or worst, in me. I don’t want you to see what others are seeing – I just want you to look at me. I won’t allow you be caged in the darkness; the theater that is, the whole world needs to witness how special you are. I’d rather spend the two hours arguing, get lost conversing about the gravitational pull, laws of attraction, and how the universe conspires than succumbing to silence with our eyes glued to the big screen and losing you in the process. I can’t allow you be seated with someone else and have the risk of your elbows touching, eyes meeting & popcorn sharing. Movies end period. I don’t want us to. Your precious name won’t be in the end credits – don’t worry this post is just for you. I know all about your inviting laughs, heavy hands and how shallow your tears are – we don’t need to see a movie for me to witness that in just one seating. We can do that everyday. I don’t want you to relate yourself in a particular character in the movie – I just want us to be us, you to be you and me to be me. 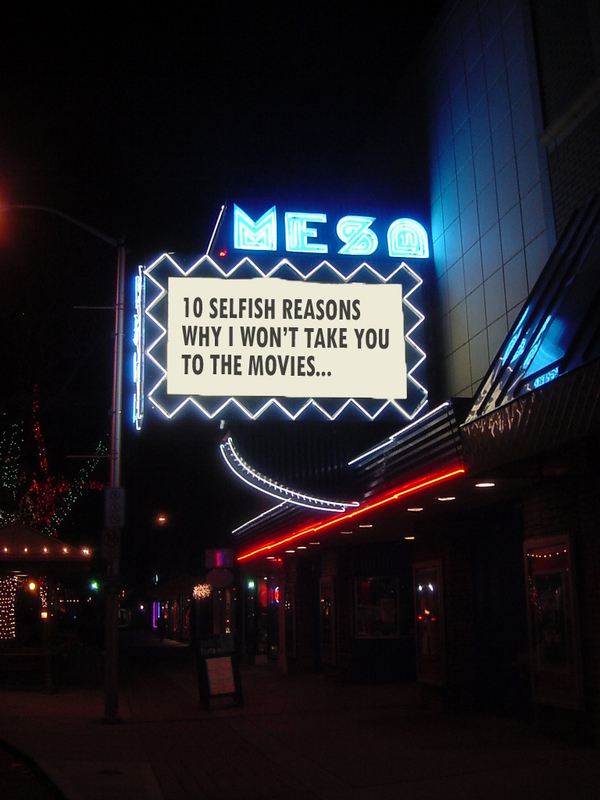 Why take you to the movies? We are already in a romantic comedy flick starring you and me.